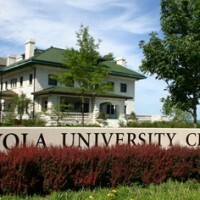 Loyola University Chicago is a Jesuit institution with a tradition of welcoming students of all faiths or none. Last year and this, the Loyola chapter of Students for Justice in Palestine proposed a pro-BDS resolution in the Student Senate. Last year’s vote was 15 pro, 12 con, with 9 abstentions. The then-senate president vetoed the resolution. This year’s vote was 15-15 with 2 abstentions. The new senate president broke the tie by voting for the resolution. In response, Loyola’s president, Michael J. Garanzini, S.J. released an open letter to the University community. In the course of my 14 years, I do not recall writing an open letter to the entire community except to wish all the best for an upcoming holiday. It is with a certain sadness that I write this letter today, however, having read the Phoenix article describing a recent meeting of the Student Government wherein representatives voted on a resolution calling on the University to divest itself from specific companies providing products and services in Israel. I feel compelled to speak out about this vote involving SGLC’s 33 members. The first thing to strike me was not how the resolution passed (after a tie vote), but rather that the majority of students in SGLC did not vote FOR the resolution. One can claim the resolution had a majority, but the 16-15-2 vote could easily be interpreted the other way: that 17 students did not accept the resolution. It is here that the leadership of the SGLC has a dilemma: to allow such a divisive piece of legislation to pass or to simply veto it? It is easy to see that the student representatives mirror a divided and deeply worried student body (and, I would add, wider American public) when it comes to the tragic circumstances in Israel and the Palestinian Territories. As the Phoenix reported, the students who opposed the measure described themselves as “feeling alienated” by the bill and “some saw it as anti-Semitic.” As I tried explaining to the President and Vice President of SGLC, the fact of the matter here is that we have within our community students on both sides of this issue who feel torn, who feel oppressed by those who see the matter quite differently, and even some students who feel threatened by others given the vehemence with which the topic is being discussed and debated. That is the issue we must address. Both “sides” have been asked—even pleaded with—by Student Development and by Campus Ministry staff to come together to talk, and to do so outside of the venues of heated debate. I urge our leaders on campus to find a way to bring about some understanding and healing. I also ask that faculty and others give this matter serious consideration as they talk with students. Resolutions are not only ineffective (and useless in a case like this), but continue to pit student against student. This resolution has already brought considerable hurt and suspicion into our community. It is possible to find a way to model civil discourse, mutual respect, and a common commitment to building bridges during these troubled times. That does not mean we shy away from taking these matters seriously. I am happy to restate my response to the results of this divided and inconclusive resolution: The University is not interested in taking up the matter of divestment in this instance. What we are interested in is having students engage in thoughtful and respectful open discussion. Jeffry V. Mallow is Emeritus Professor of Physics at Loyola University Chicago. He does research on science education and on quantum physics. He is a member of the Forward Association and Honorary Chair of the Chicago YIVO Society His articles on Jewish themes have appeared in The Forward, Midstream, and on the AMEINU web pages. He is also a standup Jewish comic. He is an active participant in The Third Narrative affiliated Alliance for Academic Freedom and Scholars for Israel and Palestine.